I read this article and found it very interesting, thought it might be something for you. 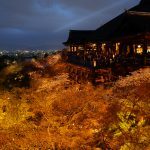 The article is called 15 Things You Must Know Before Coming to Kyoto and is located at http://trip-n-travel.com/listicle/12828/. 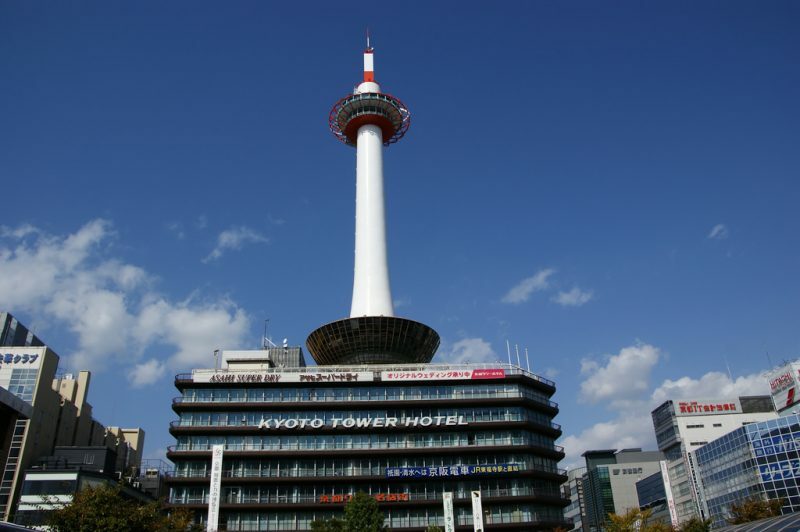 Kyoto is one of the most visited cities in Japan. With an extensive history, it is one of the only cities where you can fully experience Japan’s culture, from traditional food to ancient architecture. Here are 15 things to know before coming to Kyoto that will help you widen your knowledge of the city. There are over 1600 temples in Kyoto! 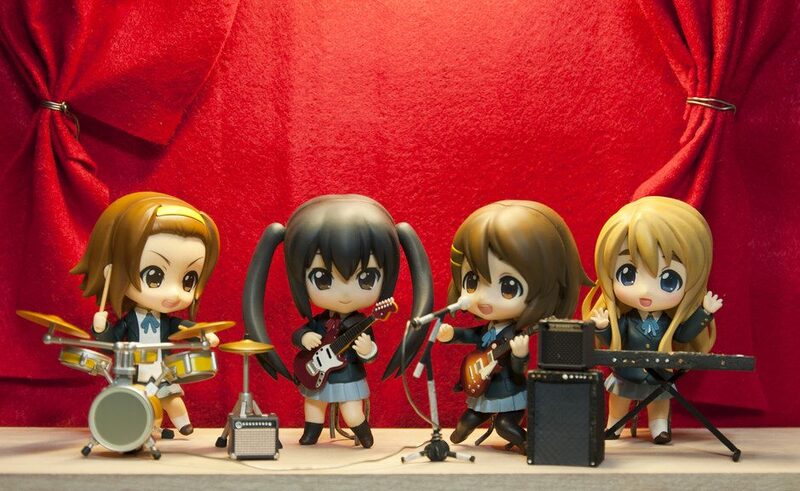 More than any other city in Japan. The famous one that tourists visit are just a few of course, but there are many interesting less known temples worth visiting. 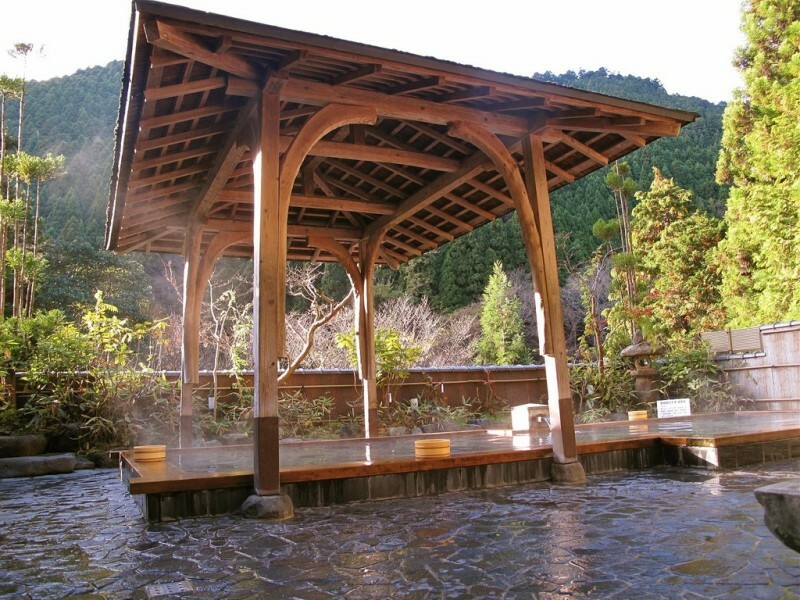 It can be a very exciting experience to go on a tour to see temples outside the beaten path. More likely you will enjoy these temples even more because of the smaller crowds! 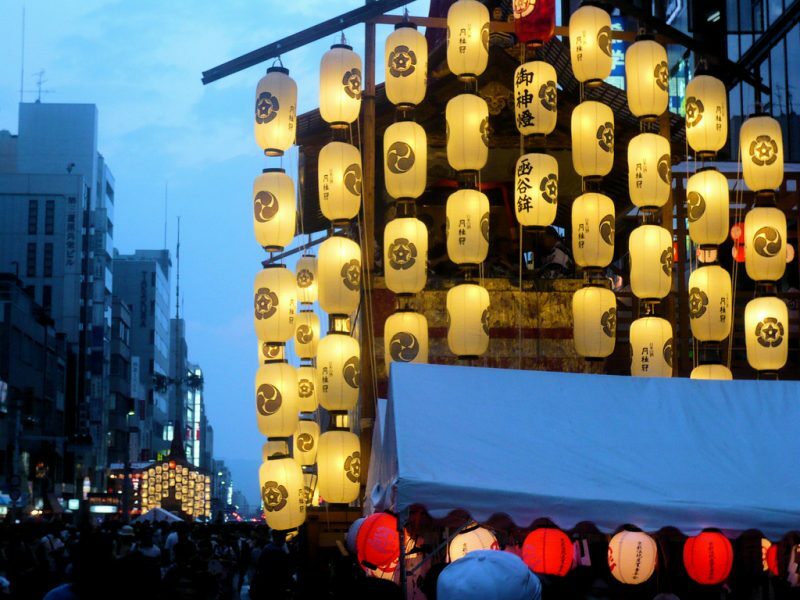 Gion Matsuri is among the most famous festivals in Japan, and is being held every year during the entire month of July. 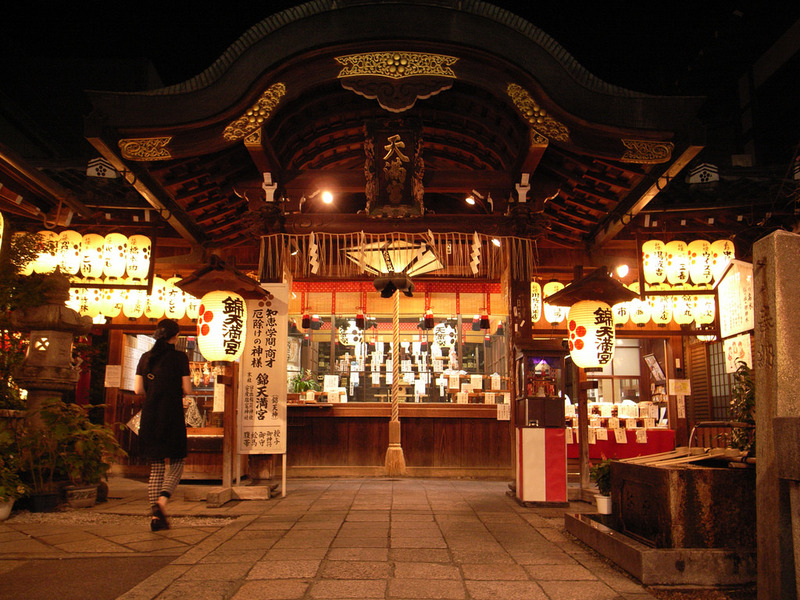 There are several events during the festival, such as the procession of the Yasaka Shrine mikoshi (portable shrine) or the exhibition of float making. But the most interesting of all is the float parade, which is the reason why so many people travel just to attend this festival. 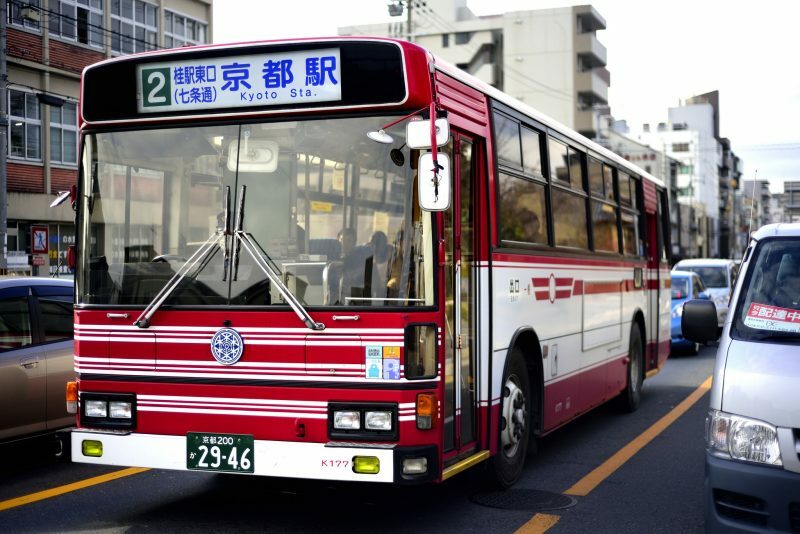 Several discount transportation passes exist on Kyoto trains and buses, like City Bus All-day Pass, special bus and subway passes, Kyoto City Subway One-day Pass and the Surutto Kansai (Miyako Card). These are very convenient, letting you save money while visiting everything you want to visit. 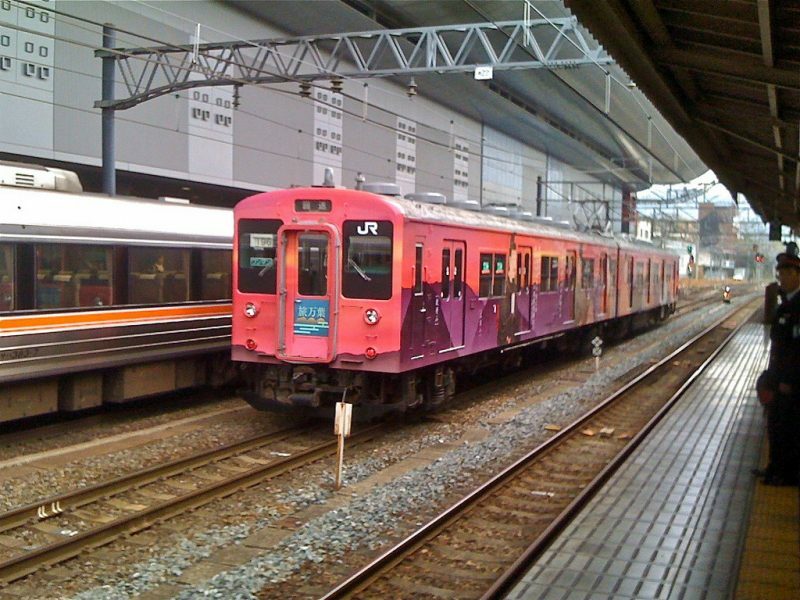 Unlike big cities like Tokyo, Kobe and Osaka where you can reach all the major attractions by train or subway, Kyoto does not have stations next to all attractions. Tourists will have to walk from the nearest station or take the bus. 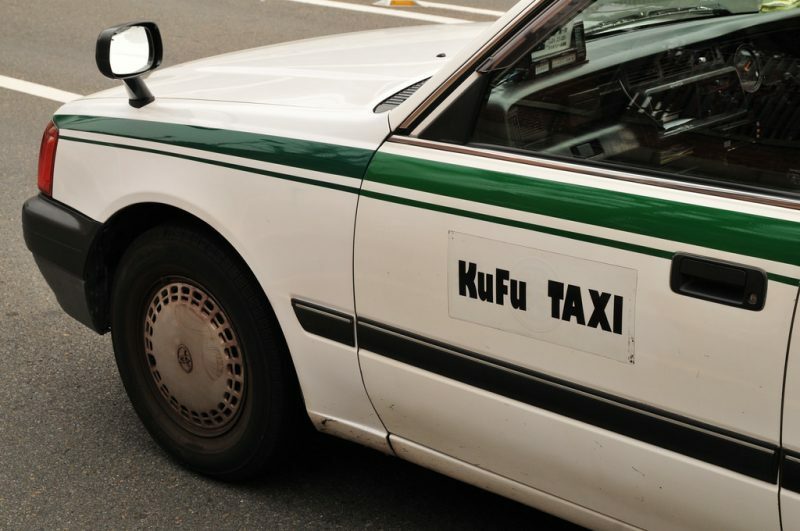 If you ever need a taxi in Kyoto, you’re in luck, because there are so many! Taxi stations exist outside all major train and bus stations, as well as outside some big malls. You can save quite some money if you take the taxi with more than two people and share the fare. Taxis usually cost 640 yen for the first two kilometers, and the fee increases with around 80 yen for every additional 300-400 meters. What can be better than traveling without having to pay for trains and buses several times a day? And you also get to see more of the city! Bicycle rental is available at several spots all over Kyoto. The most central one can be found nearby Kyoto Station, with many bicycles provided by the Fune company ( see their website: http://www.fuune.jp/ ). 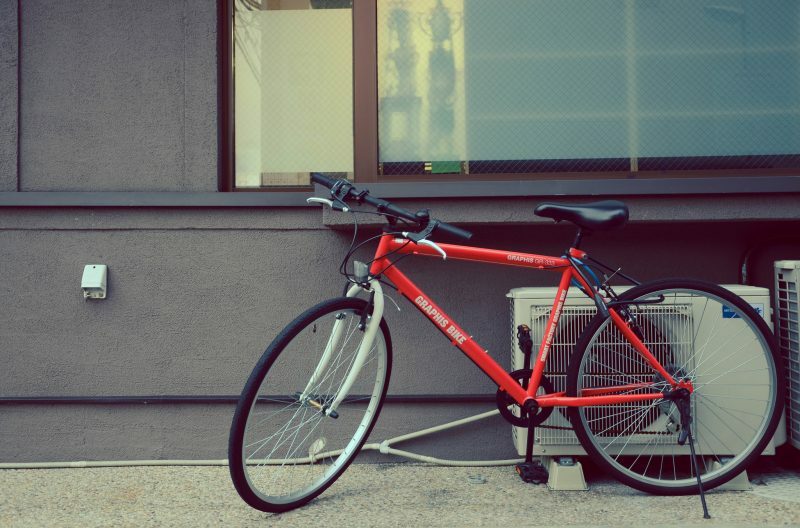 The prices vary by the type of bicycle you are renting ( from 1000 yen to 1800 yen for 10 hours ). 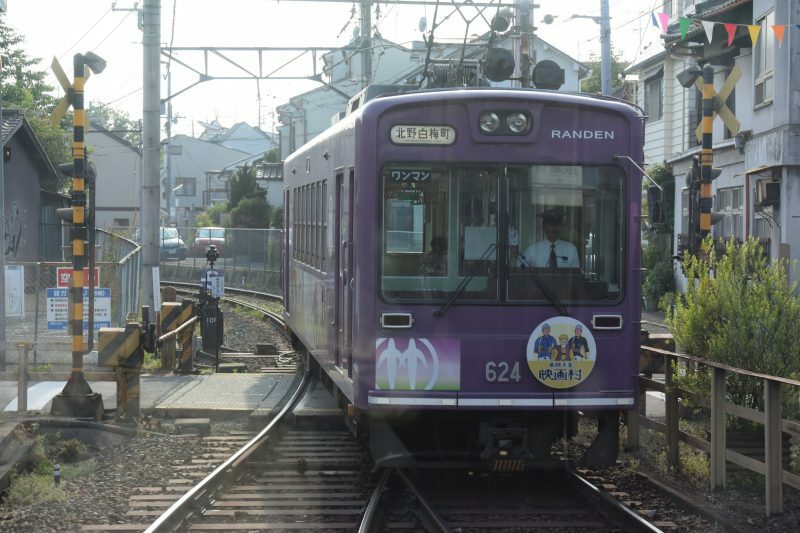 Unlike other Japanese cities where a different fare applies depending on how many stations you are traveling, Kyoto has a flat fare that needs to be paid regardless of where you go in a certain designated area. The designated area mostly includes the center of the city. 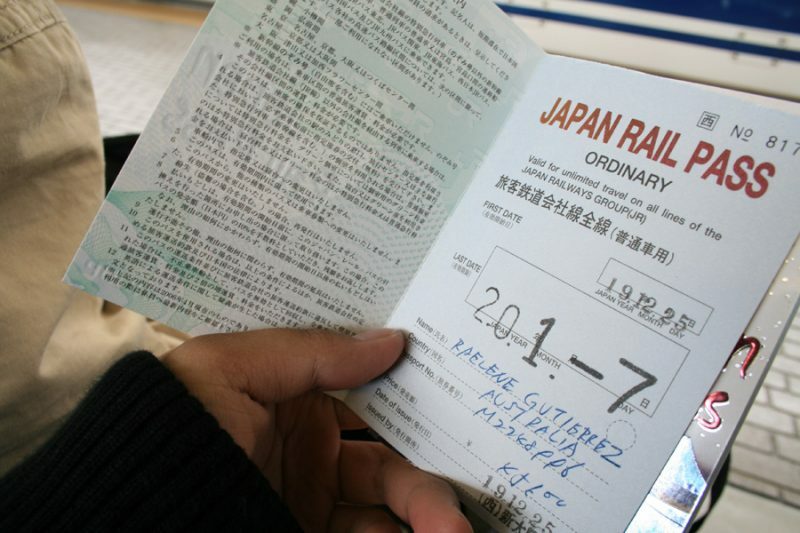 Please note that if you want to go to outlying areas such as Arashiyama, you have to pay an extra fare. There are many stores in Kyoto which specialize in kimono rental. You can get a full set including accessories for very affordable prices. The stores also offer hair styling services, professional photo shoots and rickshaw tours. 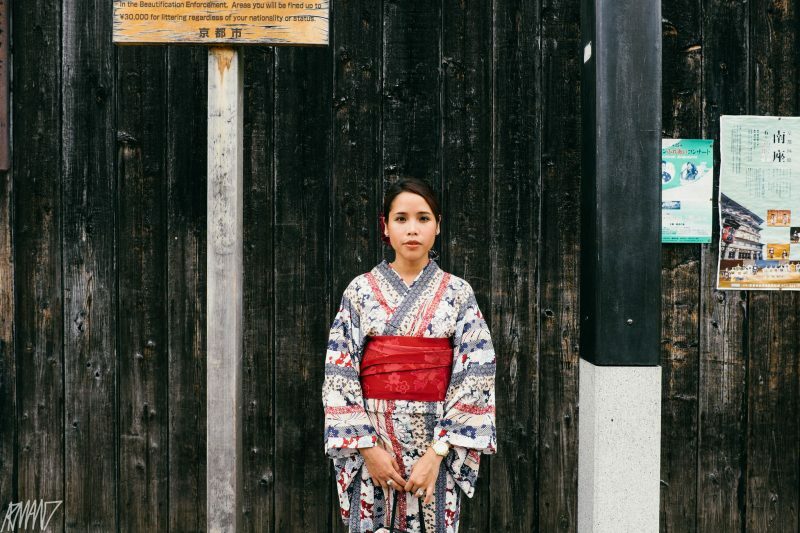 Walking around the city dressed in a kimono seems to have become a very popular practice in the recent years. Certain rules apply when riding a bus in Japan. The rules change according to some areas, which is Kyoto’s case. 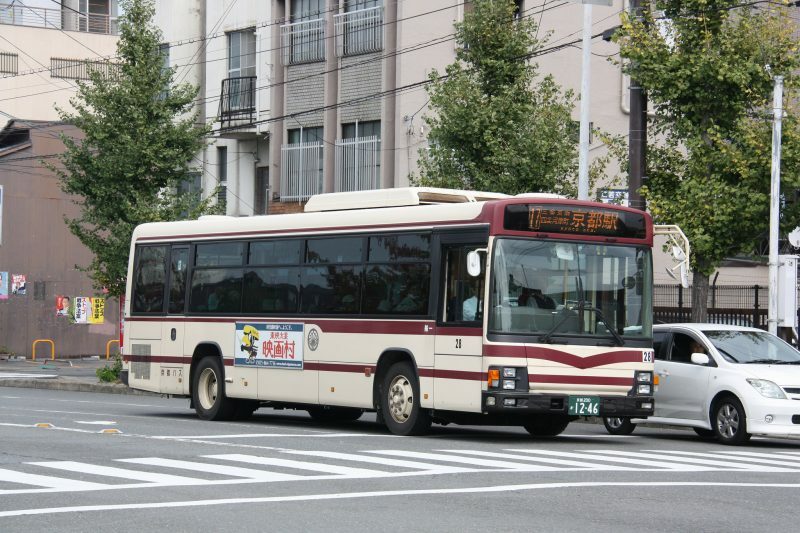 In Kyoto, people enter buses from the back door. When getting off at their station, they drop their money in the machine next to the driver and use the front door to exit the bus. This system is different from the one in Tokyo where people enter from the front door and exit by using the back one. Nisiki Market is a special street in Kyoto lined with food shops and restaurants. The street became some popular with tourists that locals now call it “Kyoto’s kitchen”. 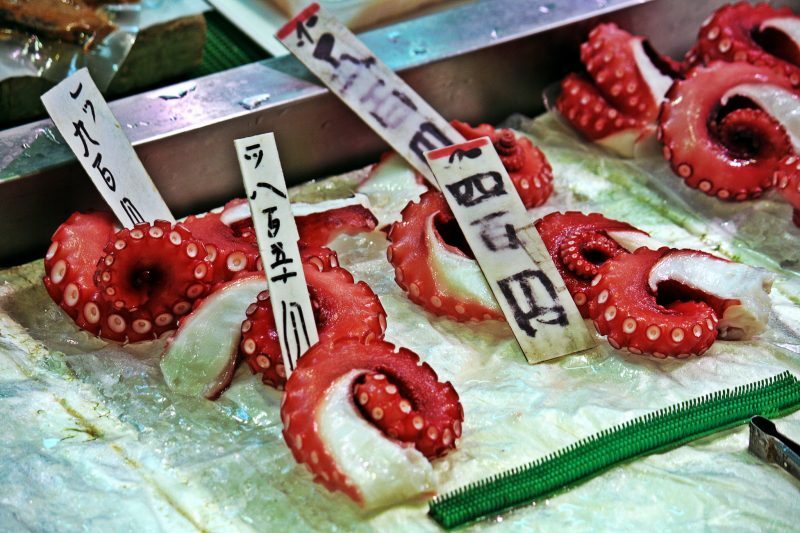 The shops on the street sell all kinds of local delicacies that you can enjoy while walking and looking around. Especially recommended are the sashimi sticks! 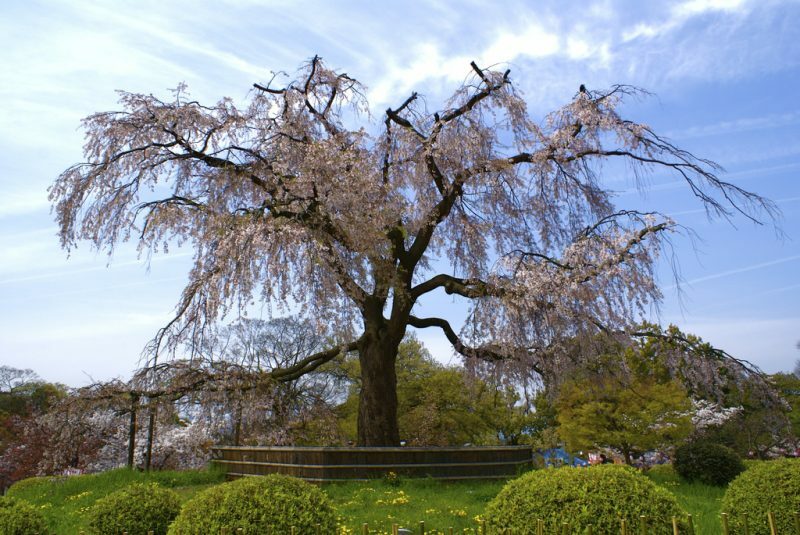 Many people travel to Kyoto in spring especially to see the cherry blossoms. There are many popular cherry blossom viewing spots around the city: the Philosopher’s Path, a long alley lined by cherry trees that goes along a river, Arashiayama, a picturesque area next to a mountain that is packed with cherry trees or Heian Shrine, a shrine that has many special kind of cherry trees, the weeping variety. Night illuminations are held at some of these spots. The same as with cherry blossoms, many people come to Tokyo during autumn to enjoy the colored trees. 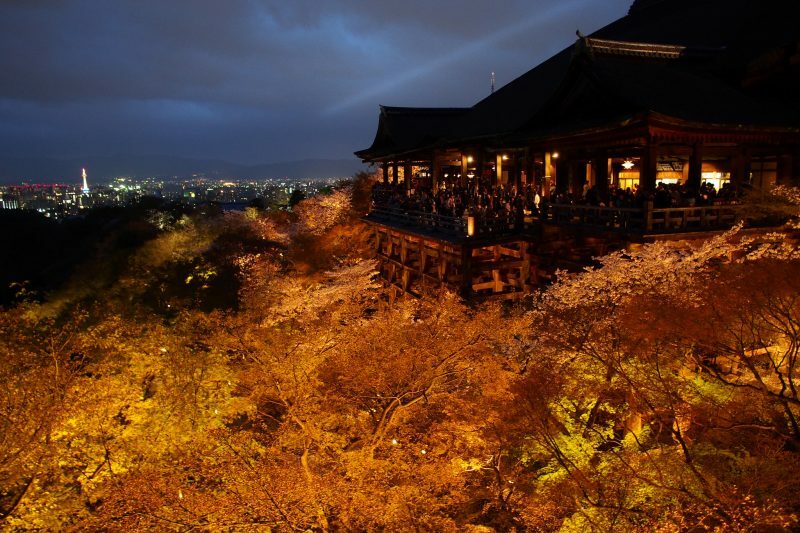 Some popular autumn leaf viewing spots are: Tokufuji Temple, Arashiyama Mountain area, Kiyomizudera Temple, Yoshiminedera Temple, Kodaji Temple and Shugakuin Imperial Villa. 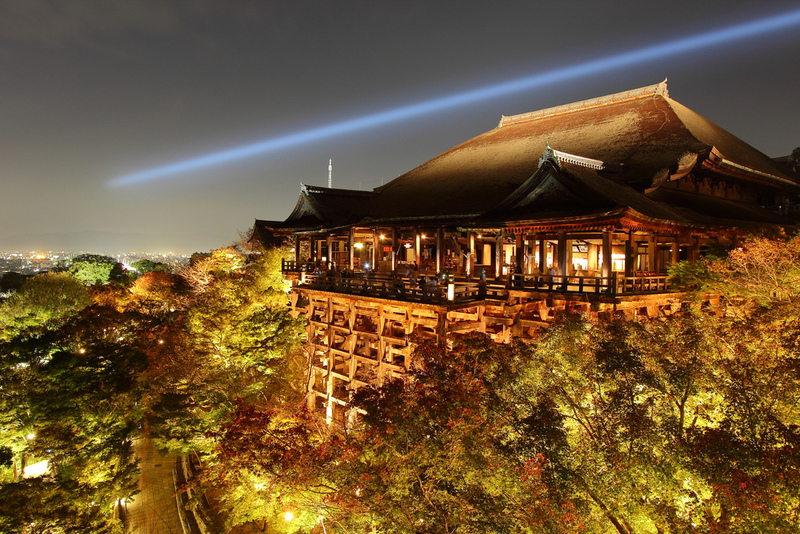 Night illuminations are organized at some of these places, letting visitors enjoy the colors even after the sun sets. 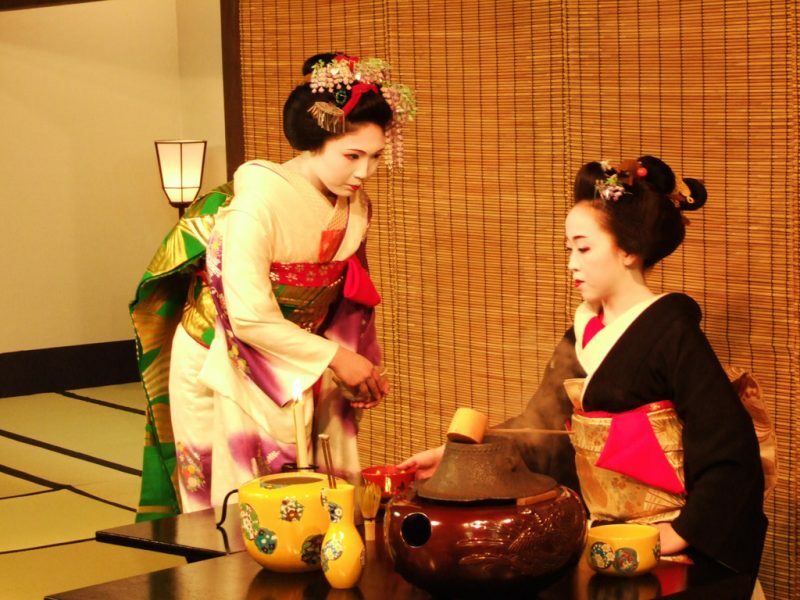 There are restaurants where guests can call a geisha to serve and entertain them. This used to be a practice exclusive for Japanese people but more and more restaurants started to be open to foreign tourists as well. The highlight of the whole experience is that you can see a geisha sing and dance. There are many delicious dishes specific to Kyoto that you must try if you are visiting the city. 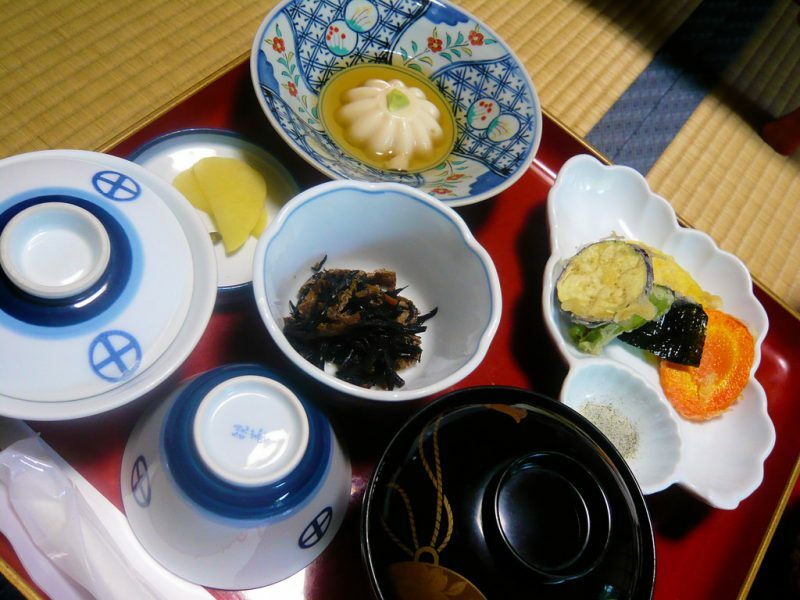 You definitely have to try kaiseki ryori, a type of set menu that originated together with the tea ceremony, shojin ryori, a type of cooking which focuses on vegetarianism and obanzai ryori, which consists of several homemade style small dishes.